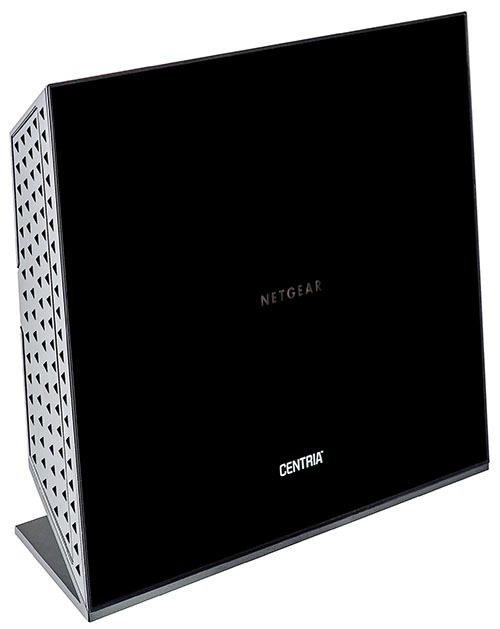 A story of the trip of NETGEAR WNDR4700 wireless router from the vendor's office to our test lab is really complicate and long, but still we are really glad to provide our readers with a detailed review and testing of this somewhat unusual networking device. 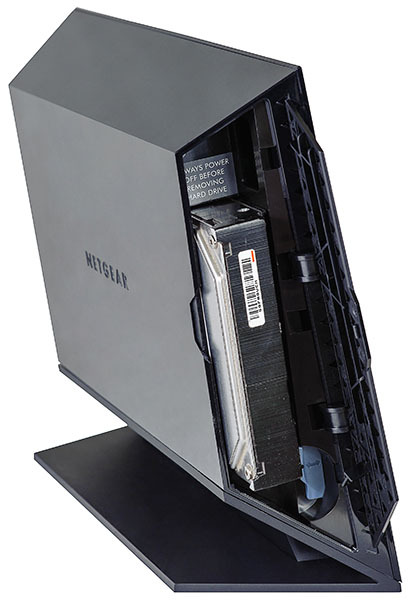 Its singularity is about a special hard disc bay located in its case; moreover, it's not used for common small 2.5" notebook discs but only for a fully-featured 3.5" SATA data carrier. In terms of the external design, WNDR4700 looks like the majority of wireless SOHO devices: a black plastic case with LEDs located on the glossy front panel and network ports on its rear side. However, it still looks a bit bigger. The device has dimensions of 256х206х85 mm. To work properly WNDR4700 needs an external power unit (included in the box) with the following characteristics: 12V and 5A. We already saw a similar case in R6300 model. On the bottom side of the stand there are rubber legs and a sticker with brief information about the device. There is a bay used for installation of the HDD located behind one of the device punched side panels. On the other side panel there are three buttons used to switch the wireless network on and off, facilitate the procedure of wireless client connection, and back up the user data. Also, there are a USB 3.0 port and slot used for connection of SD cards. 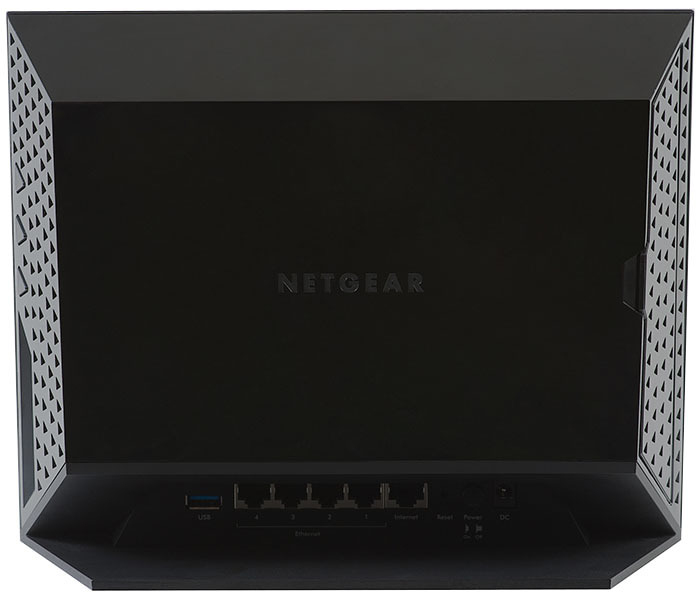 Network interfaces are located on the bottom part of the rear panel; there are four LAN GE ports, one WAN GE port, USB 3.0 port, sunken Reset button, ON/OFF button, and power socket. Electronic stuffing of WNDR4700 is one main green textolite card and several small support cards that function as antennae. Unfortunately, the only module accessible for inspection was the Hynix H27U1G8F2BTR flash memory module with the size of 128 Mbytes and IDT 89HPES4T4 microchip. All other chips are covered with screens. 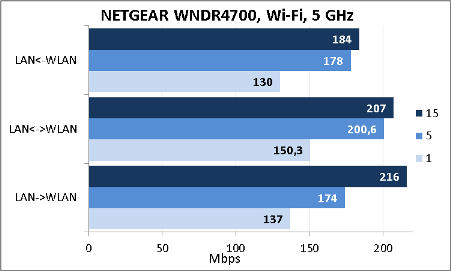 That is where we bring the review of the hardware platform of NETGEAR WNDR4700 wireless router to a conclusion and pass on to examining capabilities of its software component. 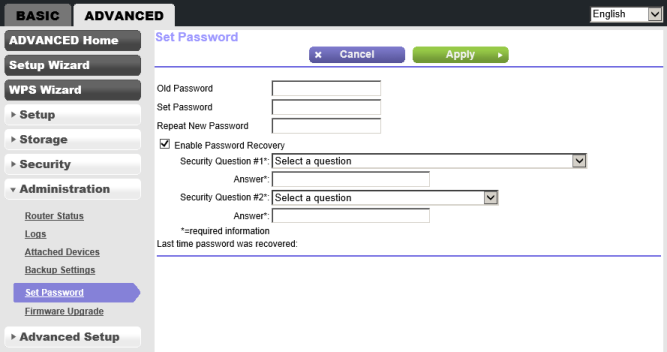 Firmware upgrade is carried out in Firmware Upgrade sub-group, Administration group of the web-interface. Firmware upgrade may be carried out both in a manual and semi-automatic mode. In order to perform the latter one needs to be connected to the WAN. Upon upgrading the firmware in the manual mode one needs to specify the file with the applicable firmware downloaded beforehand and click on Upload button. 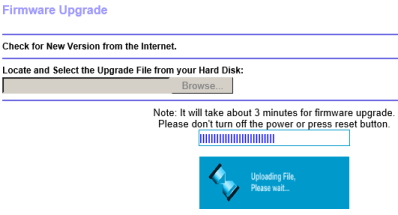 The whole upgrade procedure takes about three minutes (not considering the file downloading time). As of when this article was being written, there was only one utility available for usage by WNDR4700 users: ReadySharePrinter that facilitates the procedure of connection of a remote printer. 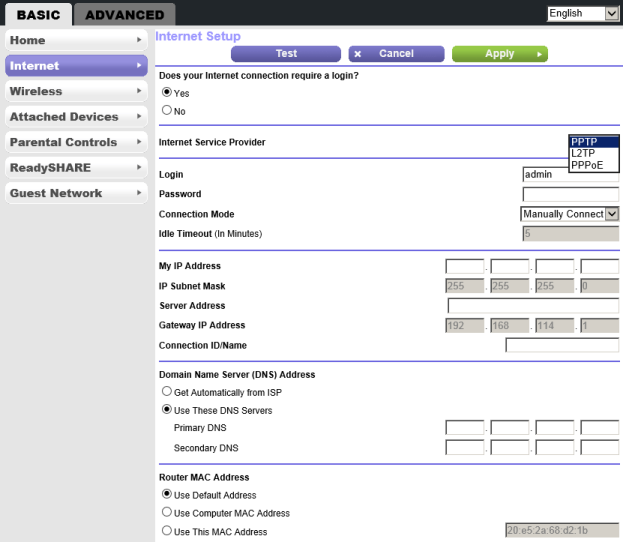 Now let's have a look at the device web-interface. 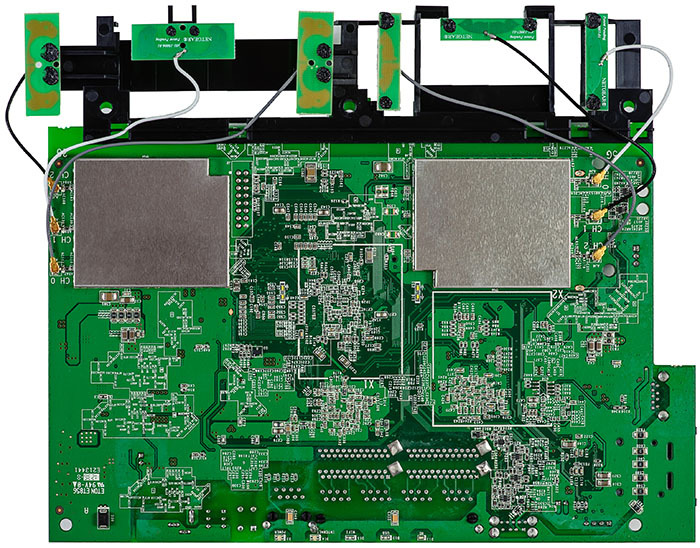 Since our test lab already hosted quite a few networking devices by NETGEAR— WNDR3800, R6300, WNDR4500, and WNR1000v2—our readers already had a possibility to get acquainted with the majority of capabilities featured in web-interfaces of routers produced by this vendor. That's why we will not review all capabilities of WNDR4700, but only turn our attention to the most interesting features. 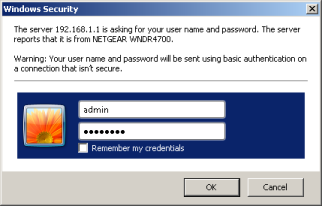 In order to access the device web-interface one should enter 192.168.1.1 address and type in the logon information upon authentication; which is admin/password by default. Upon successful authentication the administrator will find him/herself on the home page of the web-interface available in 22 languages. 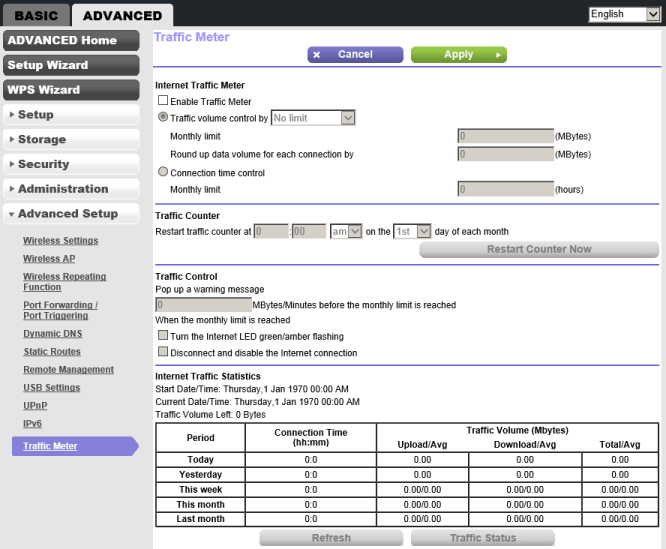 The web-interface is available in two modes: basic and advanced. 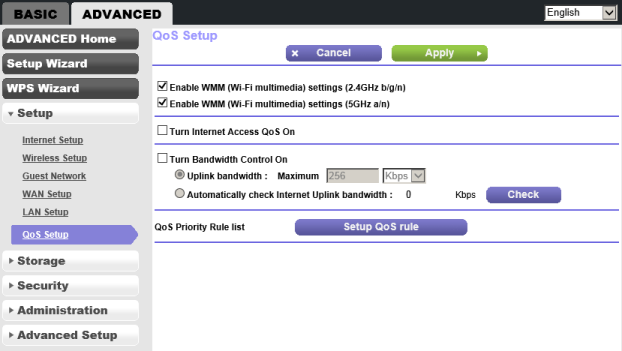 Using the basic mode the users can review the device status and manage connection to the Internet provider, change wireless network operation parameters as well as those of connected users and devices, and apply the parental control feature. By switching for the advanced mode the administrator will be able to use two wizards that make it possible to perform the initial adjustment of the device. 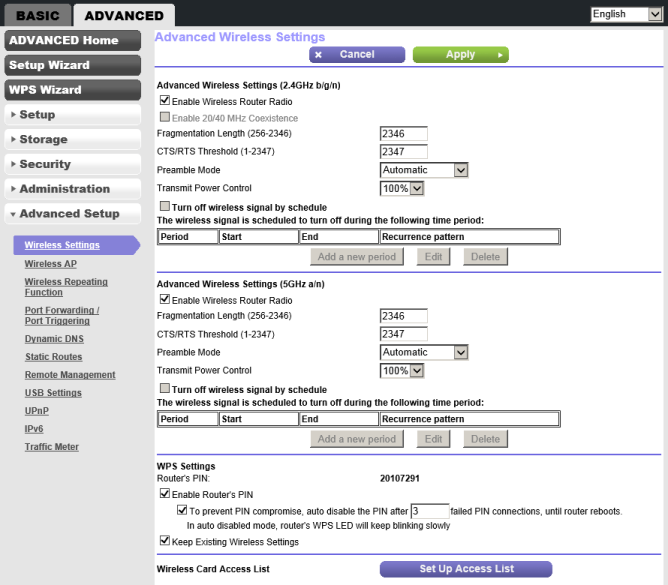 Apart from that, the advanced mode gives the user wider functionality in terms of managing NETGEAR WNDR4700 wireless router. 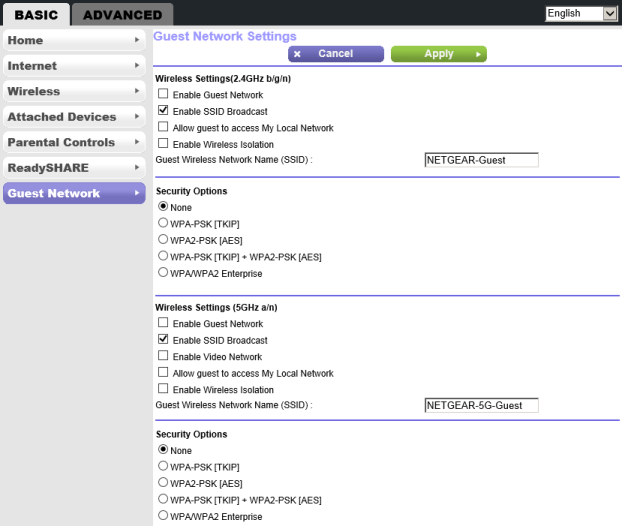 For example, using Setup group one can change parameters associated with tweaking the local network and Internet port. Storage group offers the user an opportunity to define the access right for other users, format the internal HDD, and manage a built-in media server. 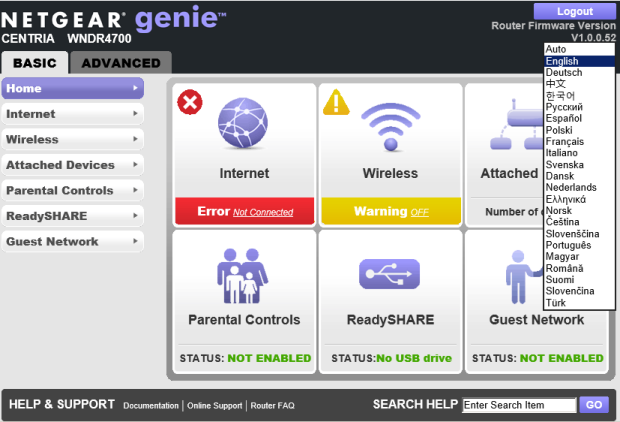 In Administration group the user can review status of the router and its ports, log information, and data about connected devices as well as change the password and upgrade the firmware. Advanced Setup group contains features used for the most flexible adjustment of the device. That's where we draw a brief review of the web-interface capabilities of WNDR4700 to a close. 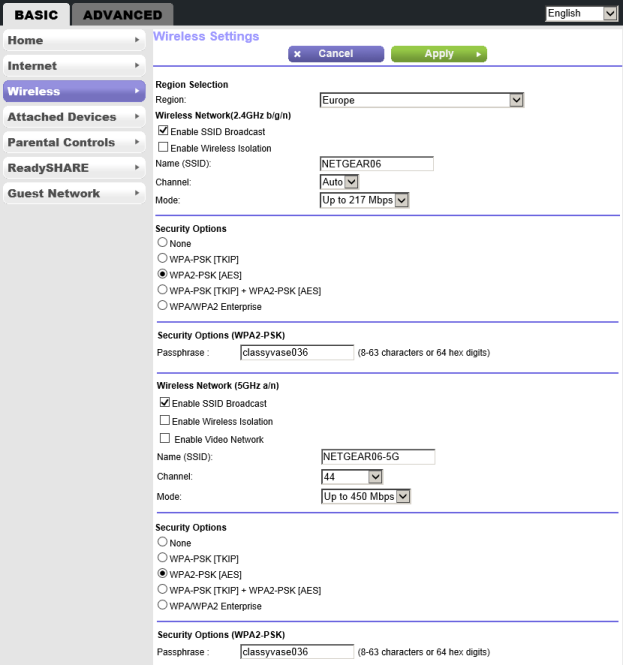 Access to the web-interface of WNDR4700 wireless router can be gained via a method that is conventional for the majority of wireless SOHO devices by NETGEAR: using telnetable utility. In this case one won't need to specify login and password. In spite of the information located on the banner displayed upon connection, SSH daemon won't get launched by entering passwd command. BusyBox 1.4.2 library is installed in Linux 2.6.32.11. Let's see what processes are currently running using ps command. The first traditional procedure we usually begin our testing chapter with is measuring the booting time of the device. 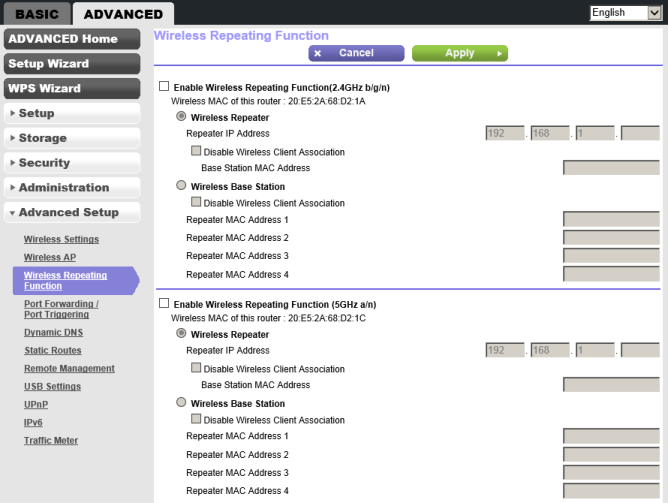 However, this time we decided to somewhat modify the measurement procedure since upon loading NETGEAR WNDR4700 occasionally replies to ICMP echo requests, but all other services become unavailable (including the web-interface). That's why in this case we measured the time period from plugging the device in the power network to lightning of a LED that shows the operation status of the internal HDD. 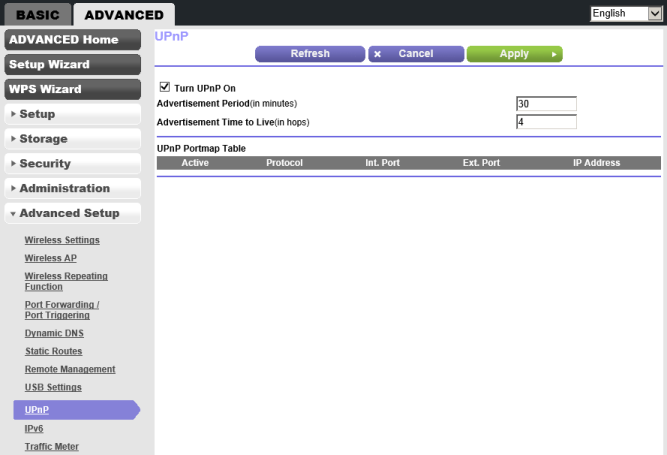 By this time the device web-interface will have already become available. 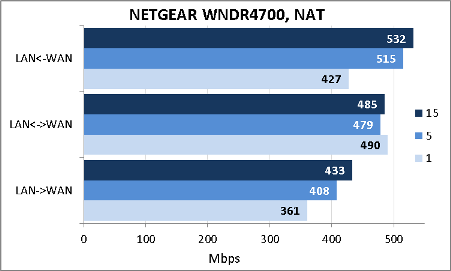 NETGEAR WNDR4700 boots in 118 seconds, which is a pretty large value for devices of this kind. 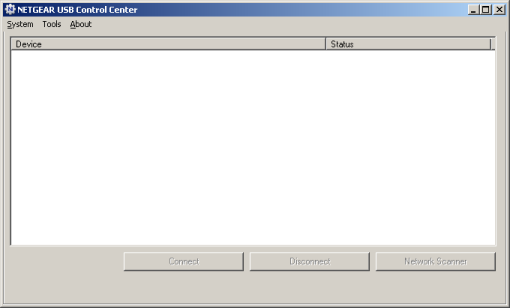 The second traditional test was a security scanning procedure, which has been carried out from the LAN segment using Positive Technologies XSpider 7.7 (Demo build 3100) utility. On the whole, there were ten open ports discovered, and they are TCP-23 (telnet), TCP-53 (DNS), UDP-53 (DNS), TCP-80 (HTTP), TCP-443 (HTTP SSL), TCP-548 (afpovertcp), TCP-3333 (dec-notes), TCP-5555 (HTTP), TCP-20005 (unknown), and TCP-33344 (unknown). The most interesting data are presented below. 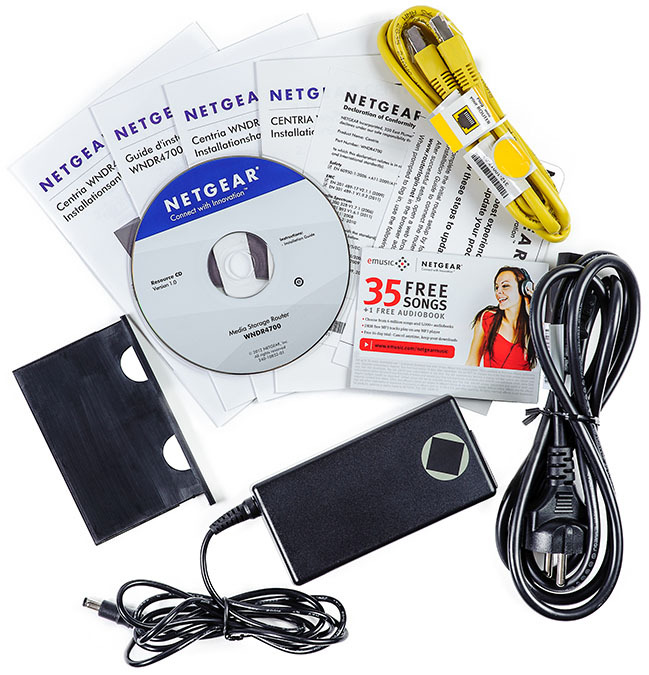 One can install fully-featured HDDs with SATA interface into NETGEAR WNDR4700 wireless router. We haven't run across this feature before and that's why we decided to begin the performance tests from measuring the access speeds to the disc that was successively formatted into four file systems: FAT32, NTFS, EXT2, and EXT3. 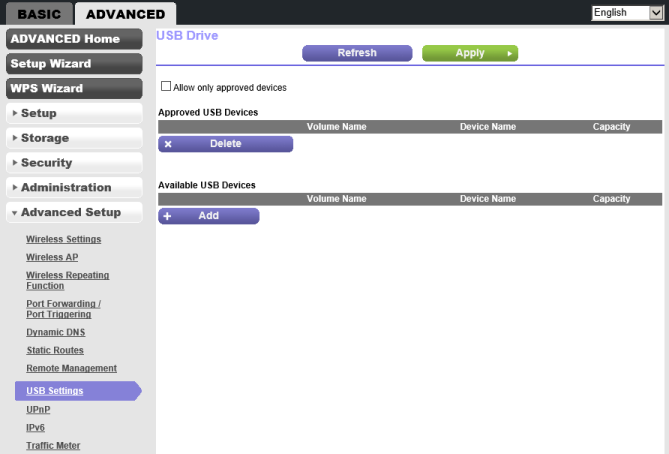 Apart from discs with SATA interface, the users can also connect external USB carriers to the device. We decided to test this feature too. We used a 750 Gbyte Transcend StoreJet 25M3 during the testing procedure. 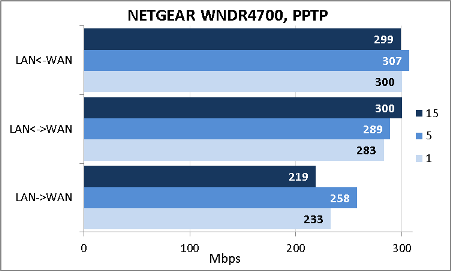 Since primarily WNDR4700 is a wireless router, we decided to find out what data transfer speeds the wired users can get. Data transfer has been carried out between LAN and WAN ports using NAT for 1, 5, and 15 simultaneous TCP-sessions. 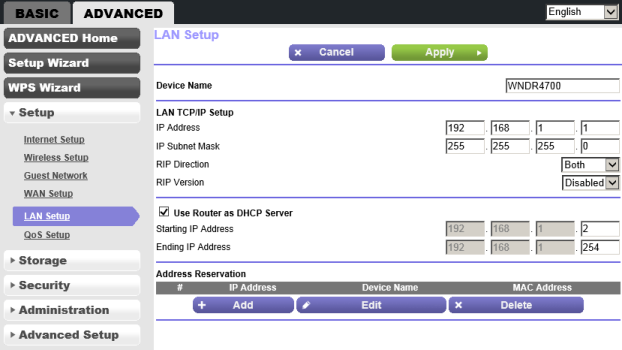 The device under review supports operation with both IPv4 and IPv6. 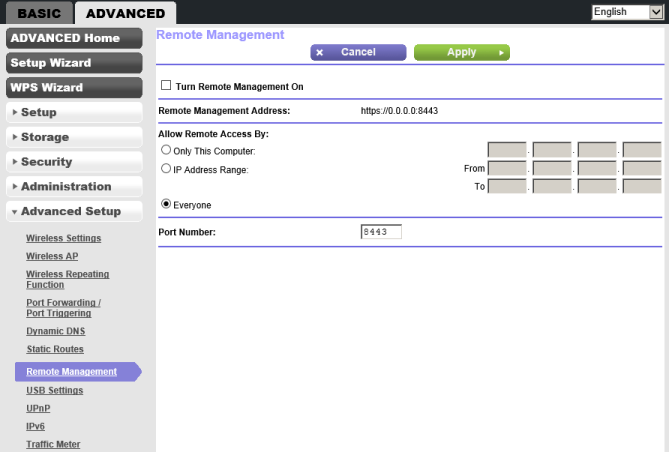 Unfortunately, one can only establish connections using the newest IP version in one direction: from the LAN segment towards WAN. Usage of VPN for those who live in Russia and the CIS is a relevant method of connection to the service provider. 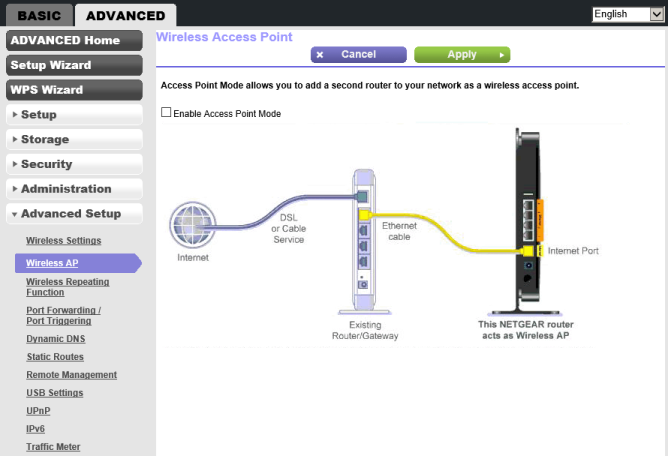 Access speeds to the WAN via PPTP are presented on the diagram below. Unfortunately, WNDR4700 only supports tunnels without encryption. 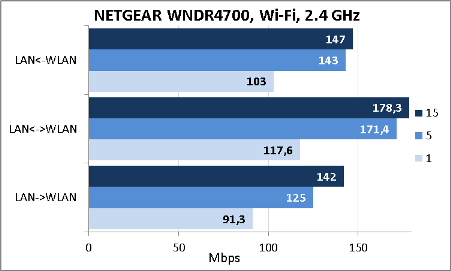 NETGEAR WNDR4700 wireless router supports operation within two wireless frequency ranges: 2.4 GHz and 5GHz. We measured the user data transmission speeds in both of the frequency ranges. 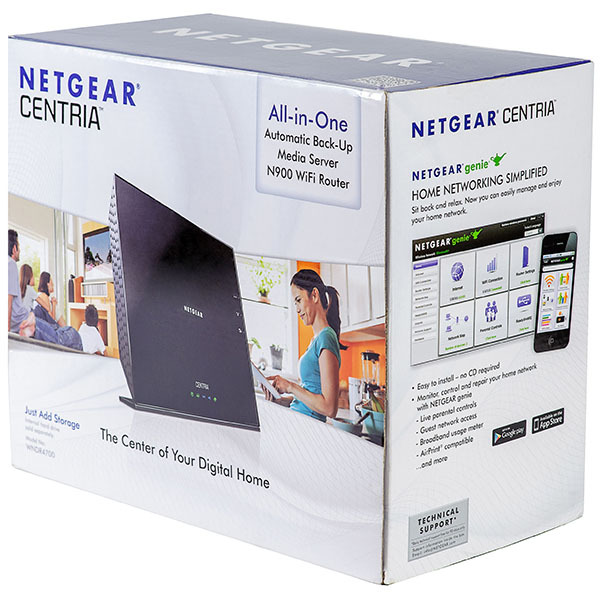 We believe that combining features of a wireless router and NAS in NETGEAR WNDR4700 turned out really well since it functions equally well both in terms of providing users with the access to the WAN and to files stored on the internal HDD. Obviously, this device is not a fully-featured NAS, but it will become a suitable solution for use in homes or small offices. Possibility of wireless module operation in 5GHz frequency range makes it possible to offload problematic 2.4 GHz frequencies. The strength areas of WNDR4700 are presented below. As of when this article was being written, the average price for NETGEAR WNDR4700 in Moscow online shops was 9000 roubles.